Jerky is a tasty high protein snack that can be made to suit your own tastes. I’ve been teaching a Cooking merit badge class for my son’s Boy Scout troop. They are learning a variety of cooking techniques to use at home, in camp and on the trail. They are also learning about how to clean up! The part we are working on now has to do with trail cooking. This involves eating prepared foods such as nuts, dried fruit, and jerky, as well as using a lightweight stove for cooked meals. The key is being able to prepare something tasty in an improvised outdoor kitchen. 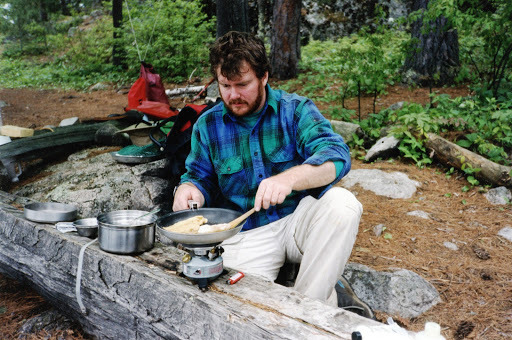 Sometimes a log becomes a kitchen, but at least we had a skillet full of fish! 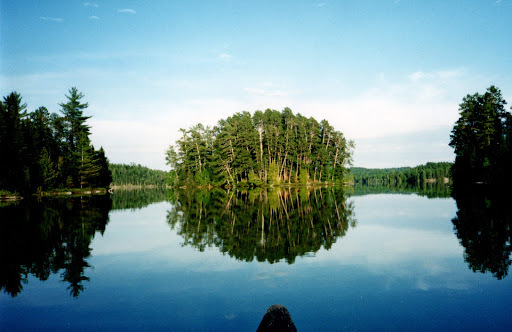 My wife and I have made quite a few wilderness canoe trips to Quetico Provincial Park in Northern Ontario. We packed all of our meals for 12 days in the wild into a small sack designed to hold a sleeping bag. We always had leftover food at the end. No freeze dried food for us! I would spend weeks before our trip working to prepare meals from items gathered at various ethnic and specialty stores in our area. Our dehydrator and our vacuum sealer came into full use. We ate very well! Our lunches were typically some kind of soup with either jerky or a piece of cheese. 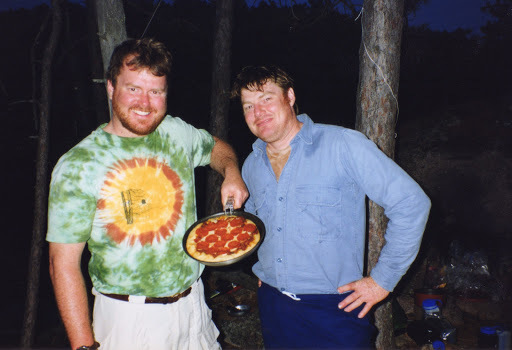 An Outback Oven allows you to make a sourdough pepperoni pizza in the wilderness. 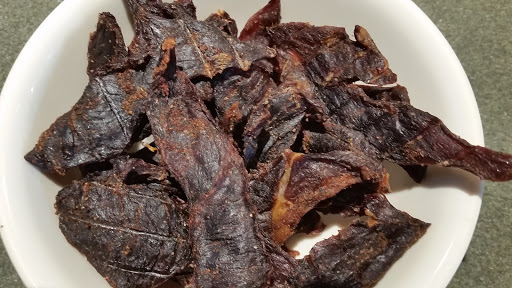 Jerky is pretty simple to make, and the taste beats the store-bought kind apparently craved by Bigfoot. The Cooking merit badge requires a Scout to prepare two meals and a snack for the trail. For his snack, my son wanted to make venison jerky. We happen to have some venison in the freezer, so I partially thawed a nice 4-5 pound bottom round roast. This is a large lean muscle from the hind leg. I sliced the partially frozen roast about 1/8″ thick on my meat slicer, and then he cut it into strips. You can substitute any lean beef cut. Mix the meat strips thoroughly with the marinade, and let them rest in the fridge overnight. The next morning, spread the meat on trays in the food dehydrator. (You can use an oven set about 150F.) Eight hours later, the meat is now jerky. It will weigh about half of its original weight. 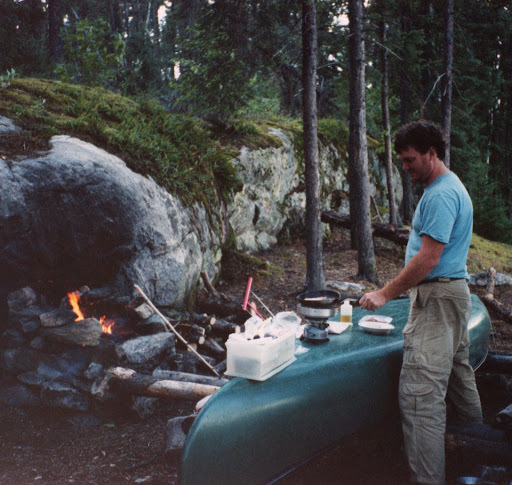 You can store at room temperature for a few days (it was rather cool on our Canadian canoe trips.) Or store in the fridge for up to 2-3 months. Trust me, it will not last that long.